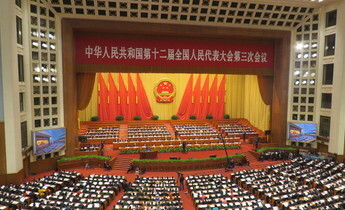 At the 19th Communist Party Congress in October, China’s president Xi Jinping delivered a long and dense report. 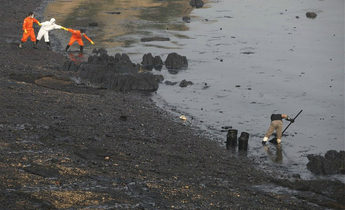 It covered a wide range of national priorities, including a full chapter on the environment. For policy observers in China, this is the “mother of all reports”. Delivered by the president following the first five-year term in office, it is the report in which Xi presents his ideology. 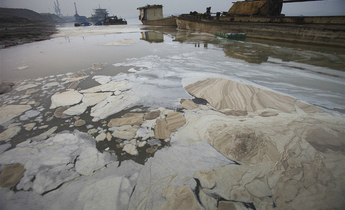 “Xi Jinping’s Thought” is excellent news for the environment. Given the many pressing environmental problems in the world, and the current political situation in the United States, it is encouraging that the world’s largest developing country has a clear environmental policy. If these policies are implemented, we could see great improvements in the coming decade, and these efforts could give a much-needed boost to environmental ambition around the world. Xi’s Thought includes 14 principles, one of which is “ensuring harmony between humankind and nature”. These principles can be considered the big plan, or an overarching statement of what the Party should focus on. The environment chapter of the report is called, “Speeding up reform of the system for developing an ecological civilization and building a beautiful China”. Just from the title we can learn quite a few things. No other chapter has “speeding up reform” in its title, suggesting that ecological reform is a top priority. “Ecological civilization” is a positive vision, which will require thorough integration of environmental considerations into the economy, politics, culture and society. “Beautiful China” ties a good environment to a sense of national pride. The priorities reflect China’s biggest problems – our civilization isn’t very ecological, and swathes of coastal China aren’t much to look at. The verb “building” is used, which in the Chinese context suggests that it’s a major and long-term reform project. To me this verb still evokes images of large engineering projects resulting in landscapes that are designed for human consumption, rather than undisturbed nature. Working in China over the past decade I’ve seen some painful examples of this going wrong, such as natural landscapes that have been bulldozed to make way for a so-called “eco-city”. However, in the next paragraphs president Xi makes explicit warnings against such mistakes. The modernisation that we pursue is one characterised by harmonious coexistence between man and nature. In addition to creating more material and cultural wealth to meet people’s ever-increasing needs for a better life, we need also to provide more quality ecological goods to meet people's ever-growing demands for a beautiful environment. Promoting green development. This encompasses everything related to the economy, including such things as consumption, clean technologies, recycling, and saving of energy, water and resources. It also spurs government to do better when it comes to conservation. Solving prominent environmental problems. In addition to air, water and soil pollution, some new areas of emphasis are included here, such as river basin management, offshore areas and agricultural run-off. It continues to emphasise the importance of disclosing environmental information, public participation and the role of non-governmental organisations. Intensifying the protection of ecosystems. Ecosystem protection includes strict boundaries for cropland and urban development, anti-desertification, anti-soil erosion, wetland conservation, natural forests, etc. It is good to see that ecosystem protection is now one of the major priorities, as in the past this has received insufficient attention. Reforming the environmental regulation system. Currently, these duties are split over different ministries, sometimes with unclear divisions of responsibilities or with built-in conflicts of interest. The new model described above was already mentioned in the “Deep Reform Plan for Ecological Civilization” issued by the Central Committee and the State Council in November 2015. However, these new institutions haven’t yet been formed, probably because it involves major changes to current departments. My reading is that a ministry-level department will be formed which will hold legal ownership of all public natural resources such as forests, mountains, lakes, and nature reserves. It may even own all public lands. Importantly, it will be able to go to court if parties cause damage to these resources. In the United States, the Department of Interior performs a similar function, but only for publicly owned lands, mainly in the mountainous western states. 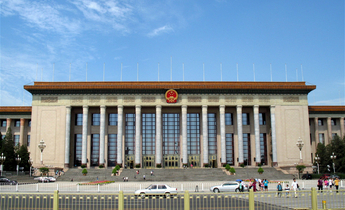 The Ministry of Environmental Protection may gain important functions in regulating not only pollution (its current primary function) but also ecosystem protection. We should expect to get more clarity on these institutional reforms over the course of 2018. Other parts of the report also have major implications for environmental protection. 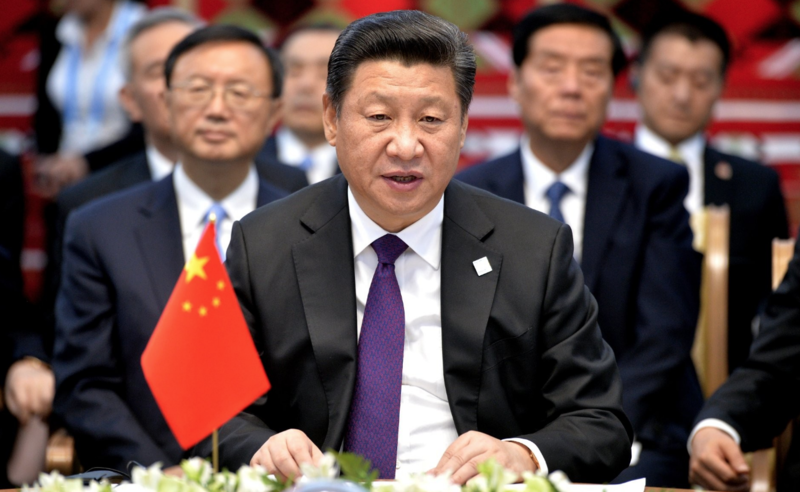 These include the emphasis on the changing needs of society, law-based governance, and on China taking a more prominent role in world affairs. The need to further strengthen law-based governance features very heavily in the report, with a chapter specifically dedicated to this ambitious reform. This is very important for the environment, because many environmental problems in China are the result of poor implementation and enforcement of environmental laws. The report clearly envisions a strong role for the judiciary. The environmental chapter doesn’t mention global environmental governance, but in his broader introduction to the objective of “Ensuring Harmony Between Humankind and Nature”, Xi Jinping explicitly mentions that the Party should: “… create good working and living environments for our people and play our part in ensuring global ecological security.” There is a whole chapter about China’s role in the world, which also contains much language about the environment. The report clearly reaffirms that the environment will continue to be major priority for China, and that this work will intensify in the coming years. 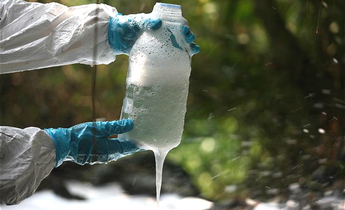 In the past year, the Ministry of Environmental Protection and the powerful Central Disciplinary Commission have been carrying out provincial inspections, which have exposed many environmental violations. More than two-thirds of the industries inspected were found to be exceeding their standards. In the same period, the People’s Procuratorates (state prosecutors) have brought thousands of cases against government departments for their violations of environmental laws. I expect that this pressure on government and industries will to continue to build. President Xi also makes it clear that China understands that it should play itspart in ensuring global ecological security. This is very important, given the massive investments which China is making in other countries, and its weight in international agreements on climate change, biodiversity, oceans, etc. The bottom line is that a rigorous approach to environmental protection is now enshrined in the Party Constitution. Developments in environmental governance in the past years suggest that these are not just empty words. They are backed up by ambitious legal reforms and increasingly strong enforcement. At the same time, we should have realistic expectations – even though they are a top priority, these ecological reforms are challenging and will take time to be fully implemented. At a time when countries like the USA and my own country, Australia, are failing to act with any commitment on major environmental issues, and when even the word 'civilisation' is missing from political discourse and public consciousness, it is heartening to know that China is making headway on 'the big picture' of the environment and doing it with attention to the details of policy and delivery. The goal of creating an 'Ecological Civilisation' is, perhaps, the most important overall policy setting of any country on the planet, and it has the capacity to empower and inspire people around the world who are working for a world at peace with itself and with the living systems of nature on which we all depend. I have had the pleasure of working a little in China and meeting dozens of smart, informed people who have been working for many years on making a healthier environment and I can only think that 'Xi's Thought' will encourage them all to even greater efforts and achievements. Congratulations China on envisioning a positive future that celebrates the power and hopefulness of progressive thought and action! (and demonstrates the irrelevance of naysayers like Trump). Th blog does not mention climate change. Are we to conclude that it didn't feature in this Chapter, which may well be significant in itself? Or was it elsewhere in Xi's Thought, or just not the focus of the blog?